Public higher education may be accessible online one day, especially if a California politician can secure an initiative on the 2018 statewide ballot. The University of California Online, a proposed online university conceived by Boyd Roberts, envisions an internet learning institution that would be “fully accredited.” Roberts is a real-estate broker from Laguna Beach and a candidate for California’s 48th congressional district seat. UC Online would be tuition-based and free in different parts. Roberts crafted the proposal with an intent to “establish the right of the public to access publicly owned higher education,” he told LA Weekly in August. 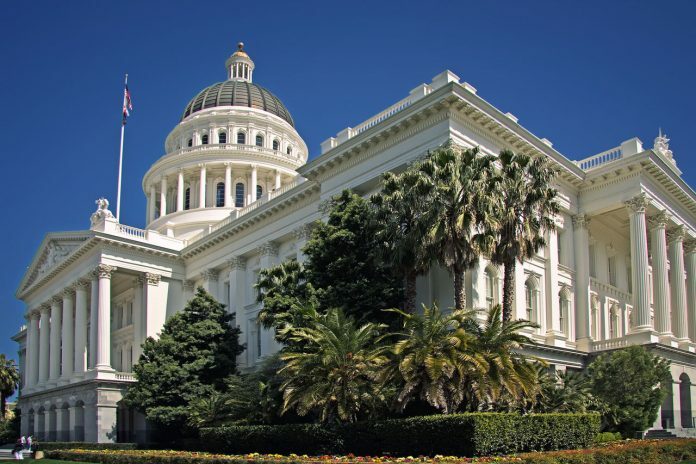 The proposal would allow the public to access course content from the UC, Cal State University (CSU), and California community college curricula. It would break down to a “two-tiered system,” Roberts told LA Weekly, as the course content would be free to audit (access the education without getting a grade or course credit). However, an individual seeking a degree would have to enroll and pay tuition. Currently, the UC offers online courses for students not enrolled in the UC — also known as “UC Online” — and provides online courses to UC students through cross-campus enrollment. The proposed system differs from the current one because the public at large would be able to access UC, CSU, and community college courses with no upfront fees. All applicants would be granted admission to UC Online, and the institution would exist independently of the UC system, though Roberts told the Los Angeles Times that the material would match the UC’s own curricula. Tuition revenue would subsidize the electronic textbook fees, along with the startup costs of building an online program. A shift online would fit a growing trend — students enjoy engaging with academic work online. Nearly 530,000 California community college students — just under 20 percent of all students taking credit courses — took at least one course on the internet during the 2011-12 school year, revealed polling data recorded by the Public Policy Institute of California. But Chen also questioned how well an online education could keep students honest. Both Chen and Navnoor Singh, an undeclared second year, spoke of their reservations toward a lack of one-on-one interaction between instructors and students with an online course structure. Singh noted that he would need to look into who teaches the courses, as well as how they’re taught, to be sure that he is getting a “quality education.” Of course, there’s the money factor. “I would expect tuition to be at a lower price than a traditional university,” Singh said. This is Boyd Roberts my phone number is 949-463-9152 . Next time you might want to actually talk to the chief proponent. UCSB students: please feel free to contact me if you would like to help gather signatures or help create this new online university. Below is a link which answers many questions. Because the UCO President can require in person, off-line proctoring of tests, there will not be any cheating. (a)	The public has the right to audit all publicly owned postsecondary courses and programs online at no cost. (b)	The public has the right to access, attend, earn full credit, and earn full degrees in all publicly owned for-credit postsecondary, accredited degree programs and courses online at cost. (c)	The purpose of this measure is, without impacting the tax payer: to further the public’s right to audit all publicly owned postsecondary courses and programs online; to further the public’s right to access, attend, earn full credit, and earn full degrees in all publicly owned for-credit postsecondary, accredited degree programs and courses online; to minimize the cost of that access for in-state students; to create a high quality, fully accredited, publicly accessible, free/low cost, for-credit online university, known as the University of California Online, to facilitate that access; to create a new path for UC, CSU, and CCC students to access impacted classes and finish their UC, CSU, and CCC degrees, respectively, online; to create a new path for students to earn credit for and possibly enroll into UC; to encourage the use of open educational resources; to require that tuition at the new university include course books and materials; to lower the cost of all UCO, UC, CSU, and CCC books – by creating large buyers of books (UCO and the UCO Bookstore) better able to negotiate lower book prices; to require tuition charged to students at the new university reflect actual costs and expenses, only; to create funding for merit based in-state Division II student scholarships, student food pantries, and need based in-state student housing; to require fully transparent tuition cost accounting at UCO; and, to authorize full funding of UCO. (1)	“Access” means full access, the full ability of all students to enroll into UCO without gatekeeping. (2)	“All publicly owned postsecondary courses” and “programs” means every unique course and program – excluding duplicates – listed in every UC, CSU, or CCC syllabus. (3)	“At cost” means two things: the student must pay and the price shall reflect the actual cost. (4)	“At no cost” means free. (5)	“CCC” means the California Community Colleges. (6)	“Completing courses at their own pace” means all online students may enroll, take tests, turn in their papers, and complete the course when they are ready. (7)	“Gatekeeping” means controlling, limiting, and/or finding reasons to exclude students from admission. (8)	“CSU” means the California State University. (9)	“Governors” means the Governors of the California Community Colleges. (10)	“Lab” means a science laboratory segment in a science course or any other portion of a course that requires the student to be physically present. (11)	“Public” means any student in-state or out-of-state. (12)	“Regents” means the Regents of the University of California. (13)	“Student” means any member of the public in-state or out-of-state attending or wanting to attend UCO. (14)	“Trustees” means the Trustees of the California State University. (15)	“UC” means the University of California. (16)	“UCO” means the University of California Online. (17)	“UCO Bookstore” means UCO’s nonprofit textbook store. (18) “UCO President” means the President of the University of California Online. (1)	Division I, the “free” division, shall authorize the public to audit all UCO courses, programs, and digital libraries at no cost and to question professors, access course books, course materials, and labs at cost. (2) Division II, the “for-credit” division, shall authorize public access and attendance of all UCO for-credit courses and programs, including courses with labs. Students may earn full credit and full academic degrees. Enrollment shall be open to all who apply. Students may complete courses at their own pace. Division II shall have tuition and, if applicable, lab fees and out-of-state fees. Over time, tuition for Division II shall be set to cover all costs of both divisions. Tuition shall vary by course. Specific course tuition after reflecting UCO fixed, start up, and creation costs on a prorated basis, shall be based on the variable costs to create, deliver, and teach that specific course, amortized by the number of students. UCO may only pass on legitimate costs to students. Tuition and lab fees charged to students shall not exceed projected costs. Specific course tuition shall include specific course books and materials. Especially in the initial startup years: the UCO President shall base tuition on estimated costs and projections; with regards to establishing the fixed cost portion of tuition, the UCO President shall amortize long term fixed costs by the duration of the financing bonds authorized in paragraph (h). UCO’s line item cost accounting shall be transparent and publically viewable online. (c) The Regents and UCO President shall ensure UCO Division II course curriculum is at least as rigorous as UC’s, fully accredited, and fungible with UC. The Trustees and the Governors shall ensure that UCO Division II course credit is accepted as fully accredited course credit in their respective segments. If a CSU and CCC course (or any other university course) meets UCO’s high standard, the Regents and the UCO President shall accept that course credit as UCO course credit. (d) The Regents and the UCO President shall encourage, but not require, the use of lower cost or free open educational resources. The Regents and the UCO President shall establish a nonprofit textbook bookstore – to be known as the UCO Bookstore – of all UCO, UC, CSU, and CCC textbooks. The UCO Bookstore shall buy back used student books at a fair market price. (e) The Regents shall appoint the UCO President with full power to create, implement, administer, and lead UCO. If the office of the UCO President is vacant for 180 days for any reason, the Governor shall appoint the UCO President. The UCO President shall serve at the pleasure of the appointing entity and shall be an ex officio member of the Regents. (f) Although UCO is an online university, some courses may require the student to be physically present in a lab or academic setting. UCO is authorized to teach and deliver lab segments of classes offline and – notwithstanding paragraph (2) of subdivision (b) – in such cases the UCO lab professor shall dictate the lab’s schedule and pace. As student demand is identified for such labs, the UCO President shall contract with other entities, public or private, local to the students, as necessary, to meet this demand. UCO may require tests to be proctored, offline, in a physical setting. As student demand for proctoring is identified, the UCO President may contract with other entities, public or private, local to the student to meet this demand. Labs and proctoring are student costs. (g). Notwithstanding paragraph (2) of subdivision (b), the Regents and the UCO President shall charge out-of-state Division II students – in addition to tuition — out-of-state Division II student fees. The UCO President shall maximize these out-of-state Division II student fees. The UCO President shall use all out-of-state Division II student fee revenues to fund: merit based in-state Division II student scholarships; UCO, UC, CSU, and CCC student food pantries; need based in-state student housing. The UCO President shall: devise a merit based in-state Division II student scholarship program; make reciprocal agreements with UC, CSU, and CCC student food pantries; and devise a need based in-state student housing plan to apply such revenues. (h). Once approved by the voters the Treasurer shall issue the appropriate bonds in an appropriate amount to fund UCO in its entirety. UCO shall repay these bonds from the tuition received.